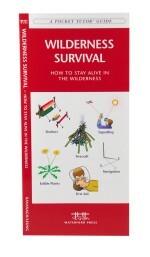 Wilderness Survival, How to Stay Alive in the Wilderness, is the perfect, pocket-sized folding guide from Waterford Press on how to stay alive in the wilderness. 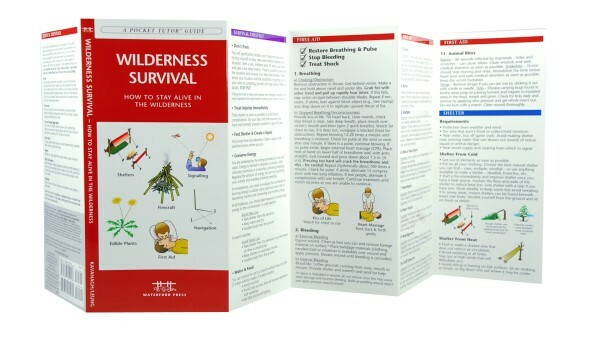 Wilderness Survival is the perfect, pocket-sized folding guide on how to stay alive in the wilderness. The guide highlights basic first aid, building a shelter, signaling for help, foraging for food and water, fire-making, edible plants and navigating through the wilderness. Laminated for durability, this handy Pocket Naturalist Guide from Waterford Press is a great source of portable information and ideal for field use by novices and experts alike.